Jake Poyer, our keynote speaker of last year and an influential supporter of the Polynesian community, suddenly passed away this past Saturday night. We remember him watching him organize the AsianFest parade from that morning. I wanted to post this in honor of his memory and for his contributions our community. Farewell and following seas, Jake. 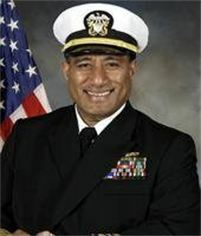 Retire Lieutenant Commander Iakopo (Jake) Poyer, USN (Ret.) hails from American Samoa and attended the University of Albuquerque before he began his military career. Mr. Poyer enlisted in the United States Navy in 1981 and served in five different commands including three ships, an overseas tour, and two shore commands. In 1993, he was accepted for the Limited Duty Officer Program and served on seven different commands including including four ships and three shore commands. Mr. Poyer completed eleven deployments overseas covering the Atlantic Ocean, Mediterranean Sea, Black Sea, Adriatic Sea, Caribbean Sea, Red Sea, Persian Gulf, Indian Ocean, Pacific Ocean, China Sea and the South Pacific. He had served as the Port Operations Officer on board Naval Station Norfolk, Virginia. In 2010, he retired from the U.S. Navy after 28 years of service. Mr. Poyer is extremely involved in the Polynesian community locally and abroad. 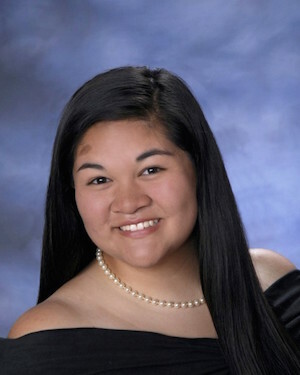 He serves as the Chairman and Co-Founder of the Pacific Islanders American Group of Virginia (PIAG) and the CEO of the National Fagaitua High School Alumni Association. PIAG is a proud sponsor/host of the annual Polynesian Festival of Virginia Beach. He is also a member of the Carrow Baptist Church, Virginia Beach, VA.
Mr. Poyer is also a family man. His wife of 24 years is Joy Volk of Woodbury, NJ. He and Joy have one daughter, Patricia Maina, and one son, Derek Esau. Patricia is a second-year student at William Mitchell College of Law in St. Paul, Minnesota, and Derek is a senior at Longwood University in Farmville, Virginia.